10 #Prettyboy Must Die by Kimberly Reid (Tor Teen) – The last thing a CIA wunderkind in hiding wants is for his face to be plastered all over social media with a catchy hashtag, and when that very thing happens to teenager Jake Morrow, he soon finds himself fighting off hostile agents right in the middle of Chem class. Reid matches this winning gimmick with pitch-perfect pacing and some surprisingly raw and heartfelt action sequences. 9 Dude! By Aaron Reynolds & illustrated by Dan Santat (Roaring Brook Press) – Long before the famous 2007 Ford Focus commercial, people had observed, perhaps deploringly, that the single word “dude” has a seemingly infinite versatility. That versatility is on full display in this adorable book about a surfing platypus and beaver who don't need much more than that single syllable to convey every aspect of their latest adventure, even when an enormous shark shows up to join the fun. 8 Unstoppable Moses by Tyler James Smith (Flatiron) – Smith's touching and propulsive YA debut stars a young man named Moses whose world falls apart in the wake of an elaborate prank that turned tragic. Moses has only a narrow window in which to turn his life around, and Smith's portrayal of his hero's broken sense of invincibility is immensely convincing. 7 The Bad Seed by Jory John & illustrated by Pete Oswald (HarperCollins) – The “bad seed” in this charming kids book is a literal problematic pod, a seed who's always angry, aggressive, and argumentative, and for a while the book looks to be merely a woeful record of a delinquent seed – but Jory John and Pete Oswald lay the groundwork for a blossoming of something rosier. 6 My Pillow Keeps Moving! By Laura Gehl & illustrated by Christopher Weyant (Viking Books for Young Readers) – The man in this delightful book has some very simple needs: he wants a comfy pillow, or a convenient footstool, or a nice new warm jacket. But a happy dog desperate for a home has other ideas, and a series of ultimately pleasant adjustments follow! 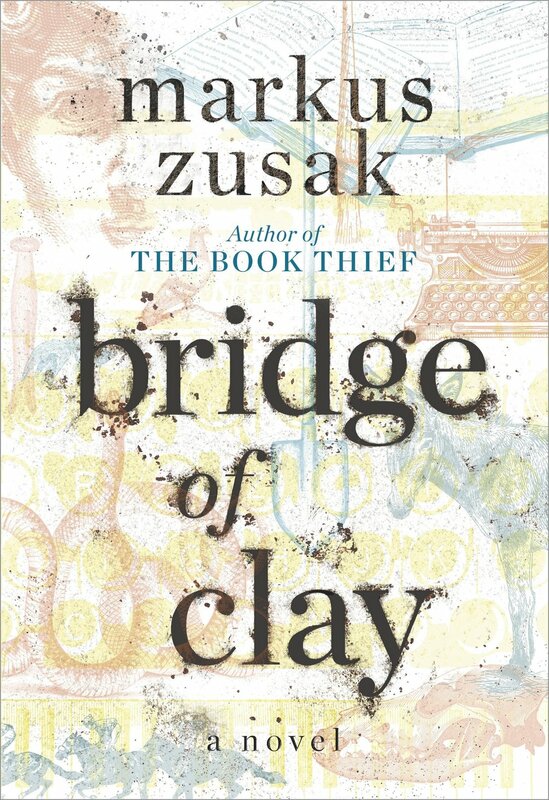 5 Bridge of Clay by Markus Zusak (Knopf Books for Young Readers) – After a long hiatus from novel-writing, Zusak returns with what is by far his most complex and moving novel, the story of the five young Dunbar brothers living semi-feral lives in a Sydney suburb after their mother dies and their father disappears. Zusak charges his narrative with jagged tension and a subtle sense of hope. 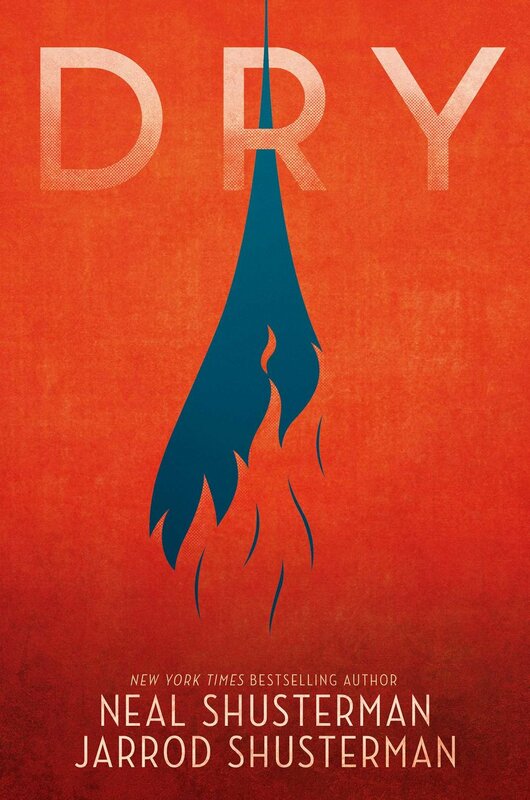 4 Dry by Neal Shusterman and Jarrod Shusterman (Simon and Schuster Books for Young Readers) – The dystopian future in this fast-paced and surprisingly touching is the California “Tap-Out,” the abrupt and complete depletion of all drinking water, and anybody watching the news in 2018 will know that such a scenario is right around the corner. The attraction here, as in all of Neal Shusterman's novels, is the character-work, particularly our young and resourceful heroine Alyssa. 3 The Rabbit Listened by Corri Doerrfeld (Dial Books) – The troubled young child in this sensitive children's picture book is deeply sad, and the parade of animals who come along aren't much help; they want to laugh, they want to talk, they want to rage or play … but only the rabbit is willing simply to sit and listen, which turns out to be exactly what the sad little child needs. There's nothing antic or overdone about this story; instead, Doerrfeld has crafted an eloquent parable of empathy, perfect for a child going through a challenging period. 2 The Interrupting Chicken and the Elephant of Surprise by David Ezra Stein (Candlewick) – The little chicken in Stein's hilarious follow-up to his 2011 Caldecott-winning The Interrupting Chicken has come home from school overjoyed at a new literary concept: the Elephant of Surprise. When the elder chicken calmly suggests that this is just a mis-hearing of “element” of surprise, the actual story-books they read together have some more surprises in store. If there's a better 2018 book to read out loud to your own little chickens, I'm not aware of it. 1 The Big Book of the Blue by Yuval Zommer (Thames & Hudson) – Zommer's new “big” book (after The Big Book of Bugs and The Big Book of Beasts), the best kids book of 2018, brings the immensity of the ocean world to children in page after page of beautiful, informative images packed with details. Tidal zones, deep trenches devoid of sunlight, open currents of incredible vastness – the seas in all their variety and life are conveyed in bright artwork that will keep fascinating kids for years.